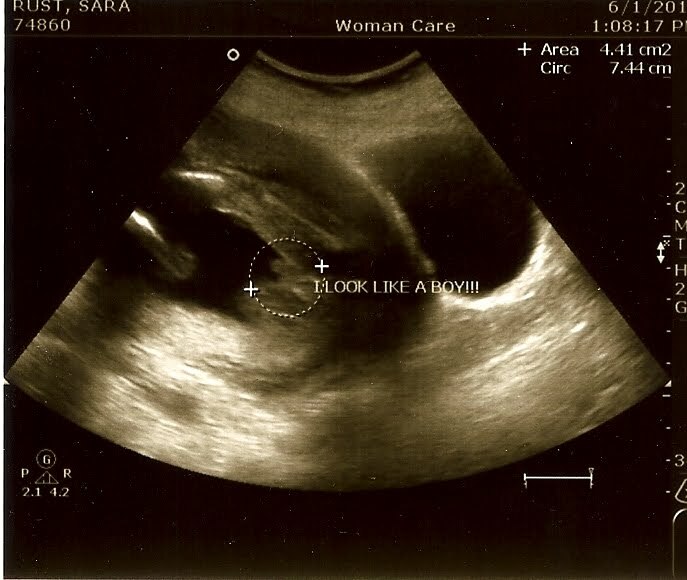 Last week my husband and I found out that our first child will officially be a boy. He began celebratory dancing immediately and even now will occasionally break into an impromptu song directed at "his baby boy" in my belly. For me, however, the news took a moment to settle in. It's not that I was disappointed that I was carrying a male child, although I did need a moment to kiss all those cute little dresses and hair bows goodbye. It was more that I was stunned. This whole time I had been 100% positive it was a girl. I don't think I gave more than a fleeting thought to the fact that it could actually, in fact, be a boy. Silly, I realize, since there was a 50/50 chance, but true none the less. Now that I've had some time to think about it, it's really kind of strange that girl was my default assumption. When I was in high school and college I mostly hung out with the guys. I like Sci-Fi, collecting vinyl records, watching Star Wars and reading comics. Not that these are strictly dude activities, but they aren't considered 'girly.' On the other hand, I love fashion and make-up and shoe shopping (again, not strictly for girls, but you get my drift). Clearly if he's arty, nerdy or gay we'll get along swimmingly. So now I feel good and I'm really excited to meet the little guy. I have day dreams of outnumbering H and getting to watch the Lord of the Rings trilogy again and again. And I feel super stoked that I don't have to explain why Barbie isn't an appropriate female role model or deal with a Disney Princess phase. Of course, if he wants to dress up like Cinderella, far be it from me to stop him. But what if he's sporty? Baseball is about as far as I go in the realm of sportsdom. But I can always learn the rules of whatever sport he's into, so I don't cheer at the wrong time while I'm sitting in the stands. Then I'll make sure he practices his piano when he gets home at night. Because well rounded is really the goal, right? The more I think about it, raising compassionate, emotionally balanced boys is just as important as raising strong, independent girls and I'm happy to take on the task, no matter what his interests are. Now if he one day declares himself a republican, that's a whole different ballgame.